Excessive licking of hot spots makes everyone crazy and just makes the hot spots worse. Hot Spots, also called "acute moist dermatitis", are areas of the skin that become inflamed, raw, infected and itchy. Minor wounds, insect bites, localised allergic reactions and itchy or inflamed areas can lead to a Hot Spot. Skin infections and hot spots are usually caused by the staphylococcus bacteria. 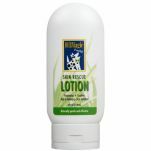 DERMagic Hot Spot Salve is a concentrated formulation of the DERMagic Skin Rescue Lotion. This great smelling salve is formulated with the same all-natural and organic ingredients, including whole-leaf aloe vera gel, vitamin E, rosemary essential oil, and sesame oil, as well as added lanolin to help it stick to the skin. 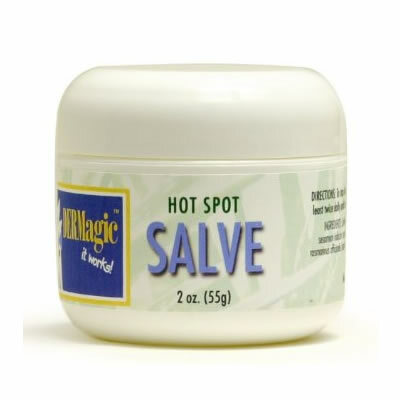 Apply Hot Spot Salve topically once or twice per day until no longer required. The Salve is for localised small areas. For larger areas, please please use the DERMagic Skin Rescue Lotion. 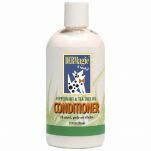 For best results please use a natural pH balanced shampoo such as the DERMagic Peppermint Shampoo. Comes in a 55g tub. Certified Organic Aloe Barbadensis Leaf Juice, Sulfur, Lanolin, Sesamum Indicum (Sesame) Seed Oil, Certified Organic Butyrospernum Parkii (Shea Butter), Water (Aqua), Beeswax, Tocopherol Acetate (Vitamin E). 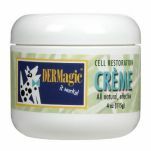 Read 2 customer reviews of DERMagic Hot Spot Salve. The average customer rating is 5. Cannot recommend this highly enough. 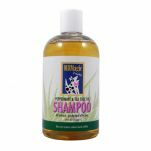 Brilliant to bring very quick relief, soothing and clearing up hot spots, sores between the toes or in ears, scratches and infections before they get to the stage where they need veterinary care.